Faced with a barrage of oil companies lobbying to begin fracking, Germany basically banned it! They didn’t ban it outright, but the rules are so tough that only conventional natural gas drilling is allowed, not miles-deep fracking from shale. State governments will decide whether to allow any drilling at all, but it is not allowed in areas that could affect water supplies. In 2021, lawmakers will review the rules. On the same day, Berlin voted to divest from all fossil companies in its pension fund. It joins a growing list of cities: Paris, Copenhagen, Oslo, Seattle, Portland and Melbourne. 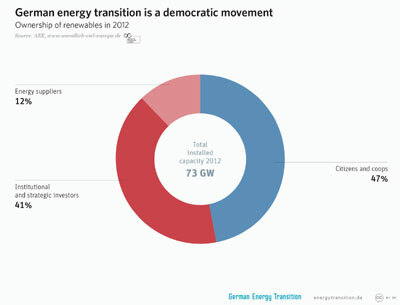 Renewable energy now provides about 31% of Germany’s electricity after a surge of offshore wind installations last year. The goal is to reach 40-50% by 2025 and 80% by 2050. 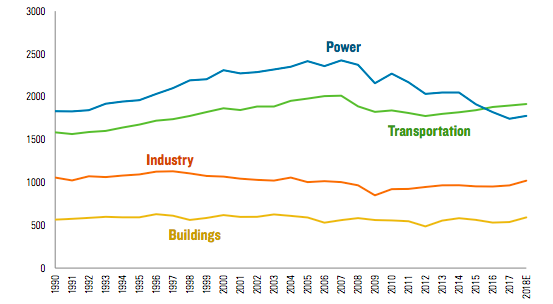 The country still relies on coal for 44%, but that’s dropping every year even with Germany’s decision to stop producing nuclear power by 2022 – which supplies 18% of electricity. Sadly, the confluence of events that have hit Germany, and Europe generally, have considerably softened its leadership on renewable energy. In 2011, Europe was a magnet for clean energy investment with 45% of the world’s total, but it’s now down by more than half – 18% of world investment, according to Bloomberg New Energy Finance. After showing the world it could quickly ramp up solar through generous subsidies (feed-in tariffs), it disrupted the progress by pulling back on them. Their world-leading companies closed or were acquired and a third of solar jobs are gone in Europe. Because wind subsidies are still strong, they had a banner year in 2015, but that could change given the Brexit vote. Because of its leadership, Europe met its 2020 climate target in 2014, but the next milestones may be harder to reach.